Although Ethereum may only be the second largest cryptocurrency by overall market cap in the world, it is still extremely popular. 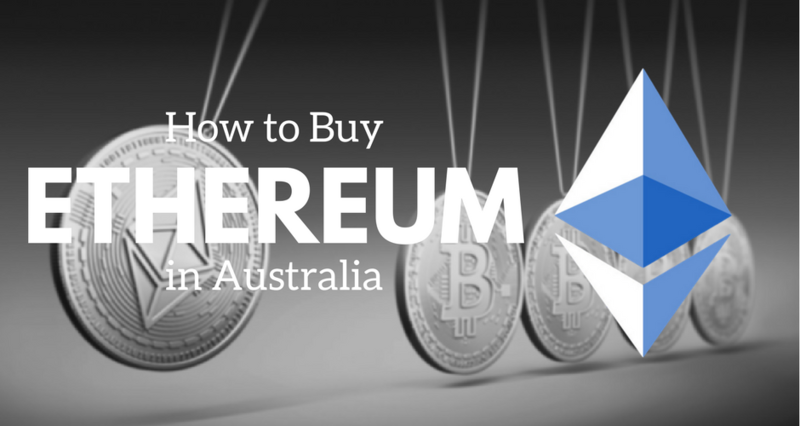 Due to the ever increasing awareness for cryptocurrencies, more and more Australians want to know how to buy Ethereum. If you live in Australia and if you would like to get your hands on some Ethereum, then there is a very simple way to do this. However, before we get to that, you should read this quick guide to Ethereum to help you understand the second largest cryptocurrency. The single best way to get Ethereum in Australia is to use the CoinSpot exchange. CoinSpot allows you to purchase Ethereum anywhere, on any device, at any time, so essentially you could have Ethereum in your mobile wallet within a few minutes. Here is how to buy Ethereum on CoinSpot. To create an account, simply go to the CoinSpot site and click create an account. Once you do this, CoinSpot will walk you through the process of creating an account. Follow all of the steps. To do this, you click on Account > Settings > Verification. You will then have to go through six steps. Going through the verification process will protect your account from security risks. 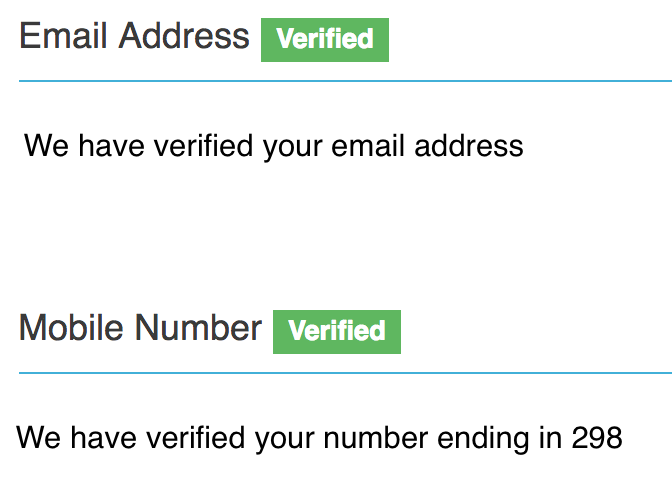 Although you may receive a message stating that the verification process is going to take a while, in 99% of the cases you will be verified on the same day. Do not be alarmed by the information that CoinSpot requests, this is the same as any large cryptocurrency exchange and is a requirement of the Australian government and their anti-money laundering laws. 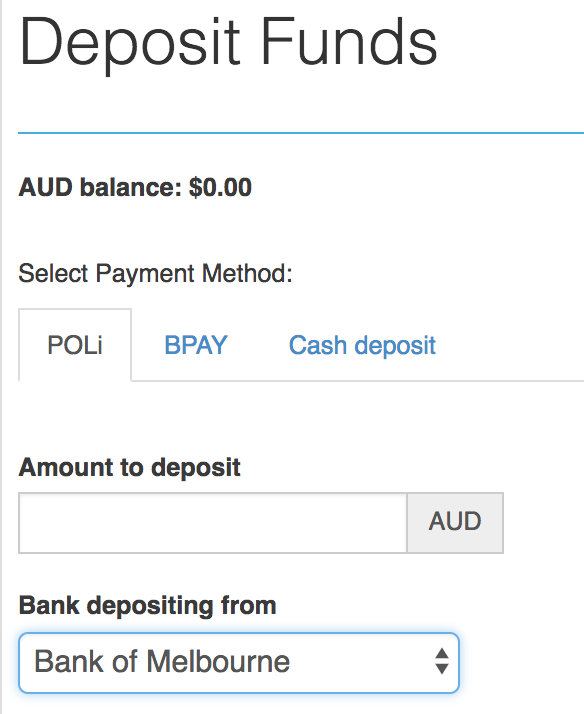 For instant deposits, we recommend using the POLi service. POLi is an online payment method that allows consumers to purchase goods and services without the need for using a credit card. It is secure, fast and the service is owned by Australia Post. If you choose to use the BPay method, deposits will take 1-3 business days to clear. After your account has been set up and verified, and your funds have cleared into your account, then you will be able to start purchasing Ethereum. Just click Buy/Sell in the top menu, then Buy ETH, then enter how much Ethereum you would like to buy (if you enter an amount of Ethereum, then the price will automatically show how much that is in AUD, and vice versa). Then simply execute the buy order. It is extremely easy. If you decide that you want to sell after a certain amount of time, then you just click sell instead of buy, after indicating the amount. This will execute a sell order. 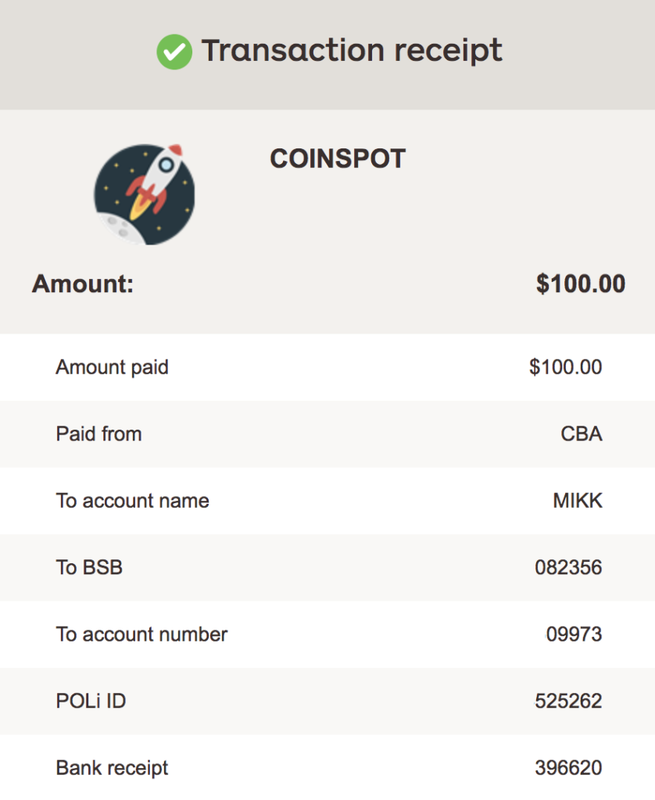 Once your coins have been purchased, they will immediately be available in your CoinSpot wallet. See here for a complete guide on buying & selling on CoinSpot. Ethereum is a cryptocurrency that is very similar to Bitcoin, however, it has a few major differences. Like Bitcoin, it is a completely digital and decentralized currency that can be accessed by anyone with an internet connection. However, Ethereum has not been around as long as Bitcoin has, and it serves purposes which are slightly different than Bitcoin. Ethereum was created by a Canadian programmer named Vitalik Buterin in the year 2013. Ethereum was largely inspired by Bitcoin. However, Buterin created Ethereum to go beyond the parameters of Bitcoin. Vitalik Buterin was named a Thiel Fellow and was awarded $100,000 as a prize for creating Ethereum. What is the Core Purpose of Ethereum? Ethereum serves both as a cryptocurrency/digital unit of exchange and also as a platform which allows developers to launch ICOs and decentralized apps (DApps). Ethereum can allow ICOs and DApps to be easily launched on its blockchain. This is because it was specifically designed to allow developers to create so called “smart contracts” for the Ethereum blockchain using a programming language called Solidity. Through Solidity, programmers can create digital contracts which automatically enforce themselves. These contracts make it possible for ICOs and DApps to be placed on the Ethereum blockchain and to run independent of a centralized authority such as an app store or major securities exchange. The vision of Ethereum proved to be immensely popular and that is why Ethereum currently holds the number two spot in terms of overall market cap size. Ethereum’s market cap size is currently roughly $37 billion. Bitcoin was primarily designed to be used as digital cash and a store of value. It is since come to be known as being more like digital gold, serving as a long-term store of value. Ethereum was never designed to only be using as a digital store of value. It was designed to fundamentally create change and enable a much higher degree of decentralization on the internet. Smart contracts enable Ethereum to do this. Also, unlike Bitcoin, Ethereum does not have a “hard cap.” This means, that as of the present moment, there is not a limit to the amount of Ethereum that will ever be created. Bitcoin has a maximum limit of 21 million coins. The amount of Eth that can be mined is limited to around 18 million per year. However, as of right now, there is no protocol that prevents new Ether from being mined every year. Hypothetically, an infinite amount of Ether could be mined, as long as no more than 18 million are mined per year. The fact that Ethereum does not have a hard cap on the amount of Ether that can be created makes it extremely different from Bitcoin and from other cryptocurrencies such as Litecoin. Litecoin, the fifth largest cryptocurrency by overall market cap has a hard cap of 84 million tokens. Because Ethereum is not hard capped, it means that it will not be as scarce as other cryptocurrencies which do have a hard cap. Scarcity is often a highly relevant factor in terms of price and it is part of the reason why gold is so valuable. Ethereum is also different from Bitcoin in that the identity of its founder is known. The identity of the founder of Bitcoin is still very much a mystery. The only thing that is known about the identity of the founder of Bitcoin is the alias, Satoshi Nakamoto, which is what the person or group used on the original Bitcoin white paper. What are the Pros & Cons of Ethereum? Like Bitcoin and many other cryptocurrencies, Ethereum represents a groundbreaking technological advancement for currency. Ethereum does not require any government or central authority for regulation and maintenance. Ethereum miners do all of the hard work of preserving the integrity of the Ethereum blockchain and they are paid in Ether to do this. So, a major pro of Ethereum is that it is a new technology which could potentially become more and more heavily used in the future. Because it is optimized for smart contracts and DApps, there is also a significant chance that Ethereum could become the platform of choice for programmers who want to launch DApps and ICOs on a blockchain. It already has been building a strong reputation for itself in this capacity since its inception. Ethereum also has a strong team behind it and many people believe that Vitalik Buterin is one of the most brilliant minds in the cryptocurrency space. Further, the price of Ethereum has skyrocketed from being worth around a dollar near the time of its inception to being worth around $1,400 at its high in January, 2018. So, many people who invested in Ethereum at the early stages experienced tremendous returns. The price of Ethereum could continue to rise. However, it is uncertain if this will actually happen. This brings us to one of the major cons of Ethereum: volatility. Volatility is something that is associated with nearly every cryptocurrency (except the stable coins), and Ethereum is no exception. For example, after Ethereum experienced its high price of $1,400, it shot back down to around $400, losing around $1,000 in price in around three months. So, any investors who bought in at the $1,400 mark lost a significant portion of their investment if they did not sell within a short period of time. The argument could also be made that Ethereum’s lack of a hard cap is also a con. This is because a lack of a hard cap means that Ethereum does not have the levels of scarcity associated with other cryptocurrencies like Bitcoin and Litecoin. A lot of cryptocurrency fundamentalists believe that part of the main value of cryptocurrencies is that they can be resistant to inflation because they cannot be infinitely created like fiat currencies. It seems, however, that this principle does not exactly apply to Ethereum. So, the lack of a hard cap could be a drawback for many people. However, Vitalik Buterin has been speaking out publicly about a desire to create a hard cap for Ethereum. However, because his public comments about this were made on April Fool’s Day, there is widespread speculation about whether or not he was serious. This is yet to be determined. For now, however, Ethereum has no hard cap. Ethereum, like a lot cryptocurrencies is a new and exciting innovation and the future looks bright for the platform. Should you choose to invest in Ethereum, make sure you fully understand the risks associated with investing in cryptocurrencies – as you most likely know by now, their prices are extremely volatile and can fluctuate as much as 30% or more in a single day. We fully recommend CoinSpot as a place to obtain your Ethereum, it’s rated as our best exchange in Australia (see here for our complete guide).